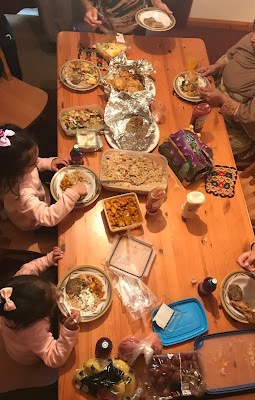 Happy Muslim Mama: Cornwall 2018: At Last! After moaning at my husband for a very long time that I needed a change and a break and some time in nature, he suggested we take the kids away for a few days. 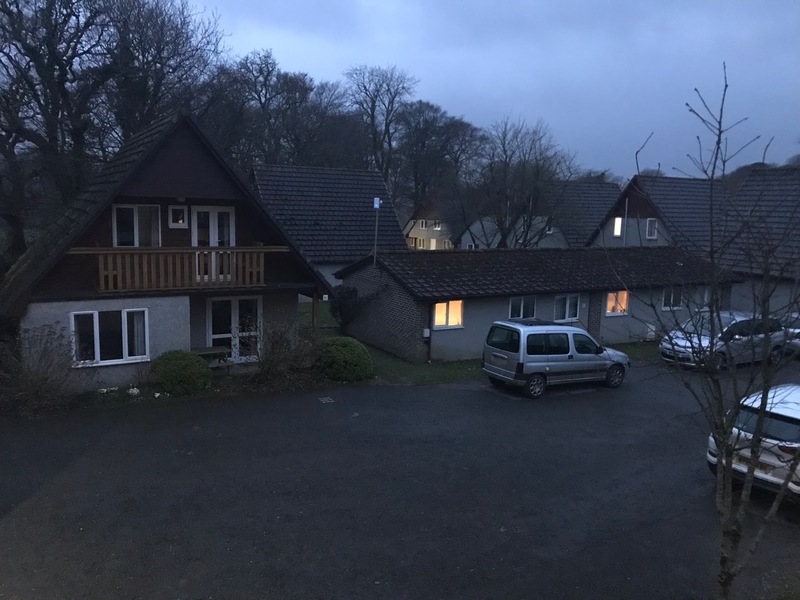 Being on a tight budget, the best -travelled amongst us, Harlequin Sister, helped us find somewhere fairly cheap to stay in Cornwall. My older three children have very fond memories of a previous trip to Cornwall and so were very happy to be going. The babies had never been on holiday (bar a trip to Scotland when Darling was ten months old), so had no idea what to expect but managed to get themselves very excited too. The trip from London is about four to five hours but like we managed to get ourselves caught up in the Bank Holiday traffic and left at 9am only to get there at about 7pm. That worked out well because all five of my children get every car sick and took turns to throw up. Luckily they all sleep in the car and slept through lots of the journey. Even more luckily, my husband is the best person ever to travel with, stopping at rest stops, encouraging us to use the bathroom and stretch our legs and buying me coffee. Our accommodation was a villa at Hengar Manor Country Park. We have stayed in self-catering before, but it was an apartment in a hotel complex, so these felt a little different. The type of villa we stayed in was the basic one (like this). It was very basic, but it had everything we needed and we had intended to spend as much of our time out and about as we can. In the past when we have tried to book somewhere, the cost of the accommodation has been so prohibitive for a big family that I have given up. 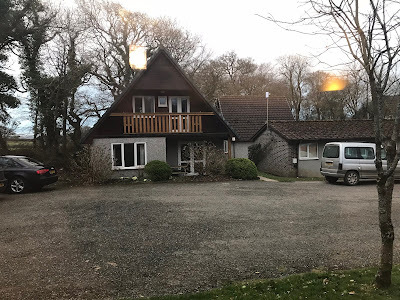 This time there were eight of us (including my mum who went with us) and with deals and discounts the villa cost us £350 for three nights and four days (we found another deal for £20 and didn't jump on it quickly enough and it sold out), so definitely worth looking around. The houses in each section of the park were identical, Little Lady asked if we were staying in teepees and eventually named them Toblerone houses. The park had grassy grounds and a fishing lake, swimming pool which the boys enjoyed using and various activities for kids. The children's playground was out of use and some parts of the park felt a little neglected. The staff were kind and helpful, including one lady who helped us settle in whose first week at the job it was. I always find that the way people treat you makes the biggest difference. One of the reasons we chose to stay at a self-catering facility, because outside of London and particularly east London we often have trouble finding halal food. We tend to eat HMC certified halal which is even harder to find in tourist destination outside of London. On a previous trip to Dorset's Jurassic coast, we asked at every stop on our trip (Bournemouth, Corfe, Lulworth Cove, Durdle's Door, Lyme Regis) about fish and chips and had to forego the because they were always cooked with the sausages. So as I usually do for day trips, I cooked and packed foods that we could refrigerate and eat over four days: rice, chickpea curry, chicken filling for sandwiches, lamb kebabs and burger patties to put in wraps and burgers. 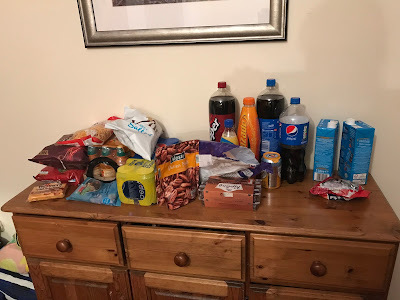 We did make one trip to the supermarket while we were there and I might have gone into holiday mode and gotten carried away with the amount of junk food I brought back. We didn’t really use the facilities at Hengar Manor, like the bar, restaurant, spa or sports activities, some because they weren’t suitable (bar and entertainment, swimming pool) and some because we wanted to plan our own activities outside the park. I was a little wary, as I always am, about how we would be received by other people there, but perhaps due to the rainy weather, people stayed in their own little teepees and we hardly saw anyone else, so it felt quite private. In all, Hengar Manor was a nice option for us and we wouldn't have been able to afford to go if we couldn’t find something in this price range for so many of us.